Holy Qurbana at Ponnurunni Church on all sunday at 8.00 am. 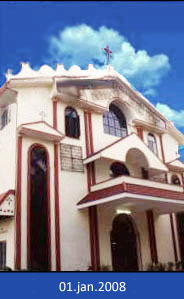 Holy Qurbana at St.Gregorious Chapel, Nilampthinjimugal, Kakkanad at 7.00 am on all second saturdays. Pakalveedu on Thursdays from 10 to 3 pm.